A second former teacher from an independent school in Sussex has been jailed for historic indecent assault against four boys. 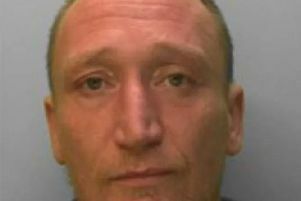 Peter Burr, 73, of The Square, Kingsware, Devon, was sentenced to four years’ imprisonment at Hove Crown Court on Friday (January 5). Burr ­- a former house tutor and physics teacher at Christ’s Hospital School, near Horsham - previously pleaded guilty to the nine counts of indecent assault against four young boys. He becomes the second former teacher of Christ’s Hospital School to have been jailed for historic indecent assault in as many months. Peter Webb was jailed for four years, on December 15, for separate incidents of historic indecent assault. On Friday, the court heard victim impact statements from three of the boys who were abused by Burr. The first victim described how he had tried to report Burr to police in 2000 but had been ‘battered back’ in his attempts. In December 2016 he approached the BBC to outline the abuse he had experienced at the hands of Burr after BBC Radio London had held a programme about sexual abuse in football. The BBC passed the information onto the police which led to Burr’s arrest in 2017. In a statement, read out to the court, the victim said: “Ever since Mr Burr’s abuse, I have struggled with relationships in adult life. “I have learnt to not be open and trusting which has made it difficult to find a woman. “The abuse I have suffered has left a strain on me because I have put up certain emotional barriers. “It has led to two failed marriages and the end of another four year relationship. The second victim explained how he decided to come forward after hearing about the investigation into Burr but said he had experienced ‘no trauma’ regarding the abuse. He said: “I realised that not only was my friend being investigated but I was a victim. The third victim explained how he was ‘totally innocent’ at the time of the abuse. He said: “I believe what happened has both effected and affected my later life. “I have never been able to form a relationship with either a man or a woman since this offending took place. “The damage to me is not what happened but what it has made me do. In sentencing Burr, judge Christine Henson QC said she believed he was still a danger to young boys. She said: “Mr Burr, I have heard statements from three victims and heard the devastating impact your abusing has had on their adult lives. “Their lives will be affected forever. Burr was sentenced to four years’ imprisonment. He will serve two years in custody and a further two years on licence. A sexual harm prevention order was also imposed on him. Four further allegations of indecent assault against Burr, which he has denied, have been left on court order. Sussex Police had full co-operation from management at the school during both investigations, according to a police spokesman. Following the sentencing, an NSPCC spokesman said: “The victims in this case have shown enormous courage in coming forward to speak about what happened to them and it’s important they receive any support that is needed to help them move forward with their lives.